Morbark, LLC, is recognizing four of its top industrial dealers. Cardinal Equipment, Inc.; Deacon Equipment Company; James River Equipment; and Tidewater Equipment Company earned Gold Tier Dealer status for their industrial products divisions. 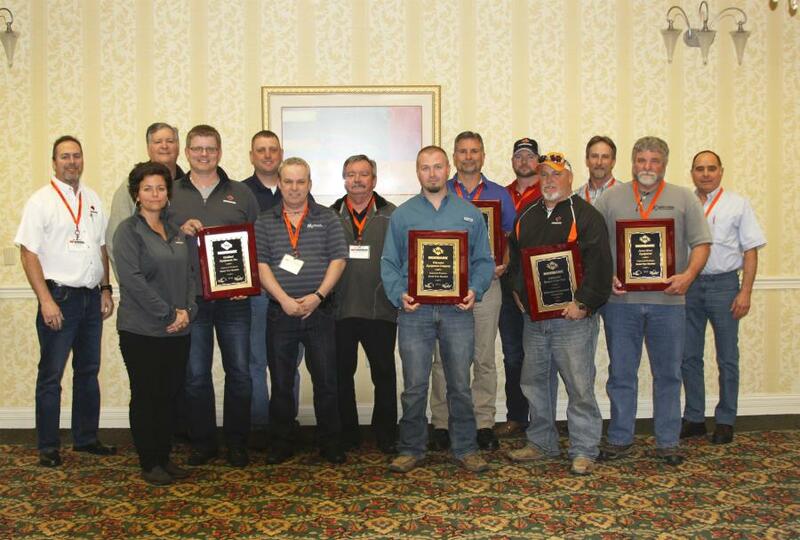 All four dealers were honored at Morbark's Industrial Boot Camp dealer training program in Hattiesburg, Miss., last week. Cardinal Equipment represents all Morbark equipment in Quebec, eastern Ontario, New Brunswick, Nova Scotia, Prince Edward Island, Newfoundland and the Maritimes with four locations throughout Canada, and is the first international dealer to be awarded Gold Dealer Status. Deacon Equipment, based in Bloomsburg, Pa., cover Morbark's industrial line in Pennsylvania and New Jersey, as well as its Tree Care Products in Northeastern and Central Pennsylvania. James River Equipment, with 20 locations selling Morbark industrial equipment, covers North Carolina, most of Virginia, Eastern West Virginia, and York County, S.C. With 11 locations representing Morbark industrial products, Tidewater Equipment serves most of South Carolina, and parts of Florida and Georgia.